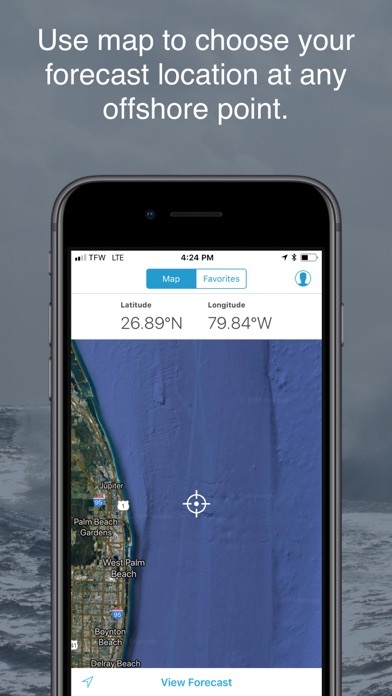 Stay safe out on the water. 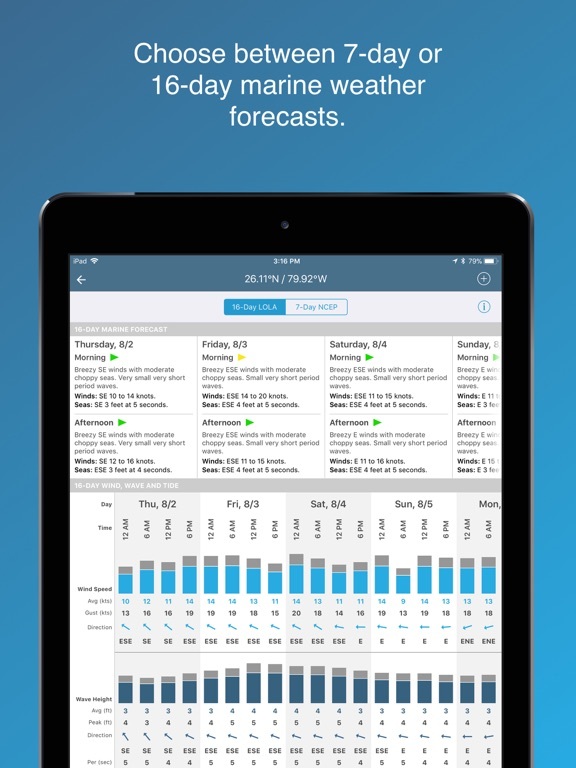 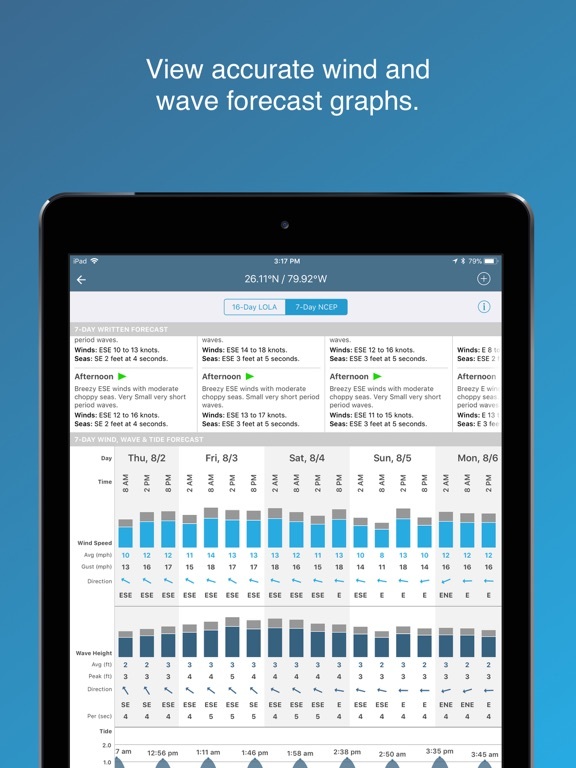 Register now for access to free 2-day forecasts, and convert to premium for a full 7 days. 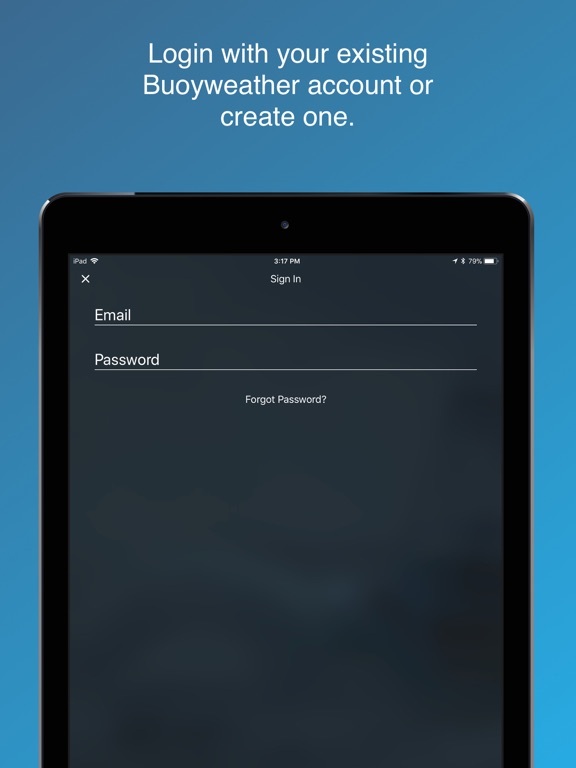 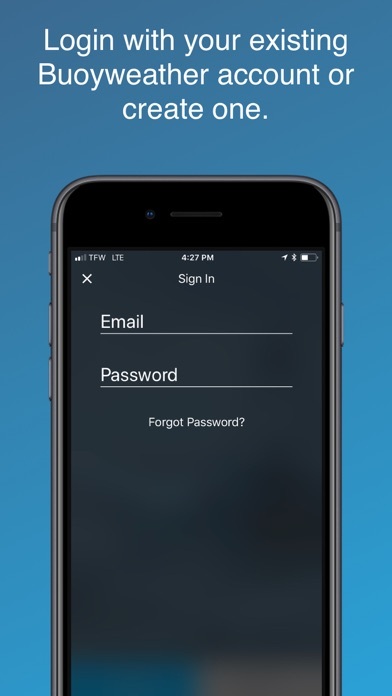 Download now to get started! 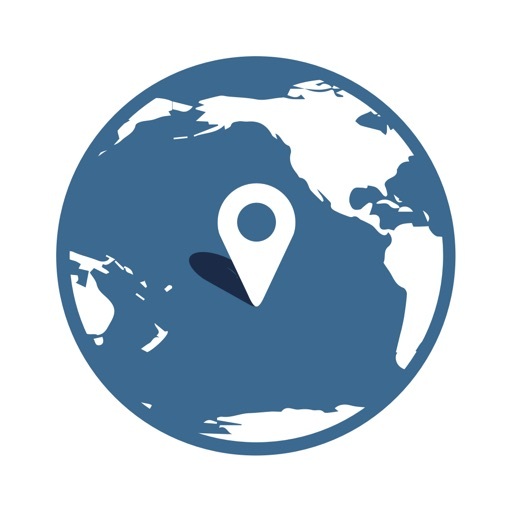 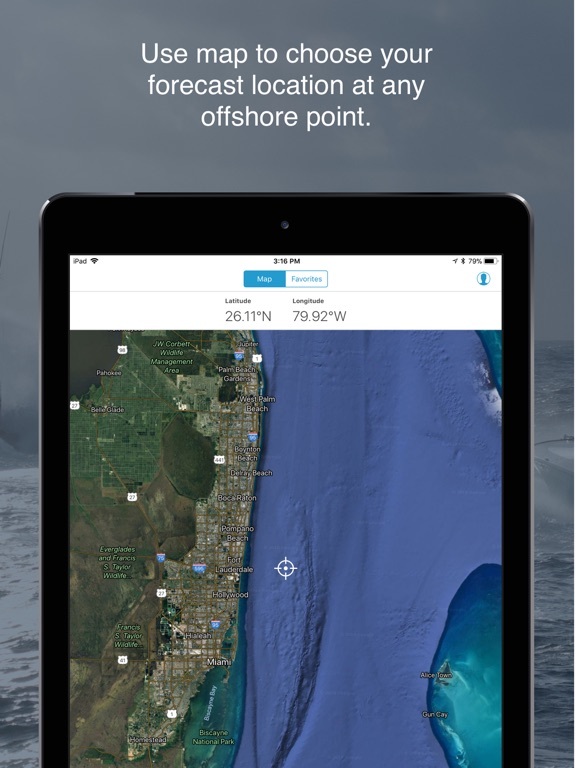 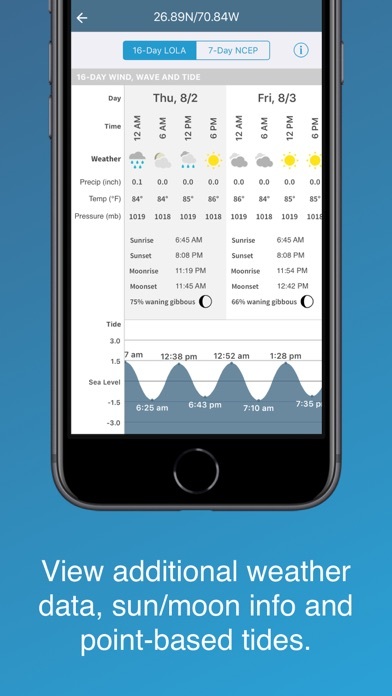 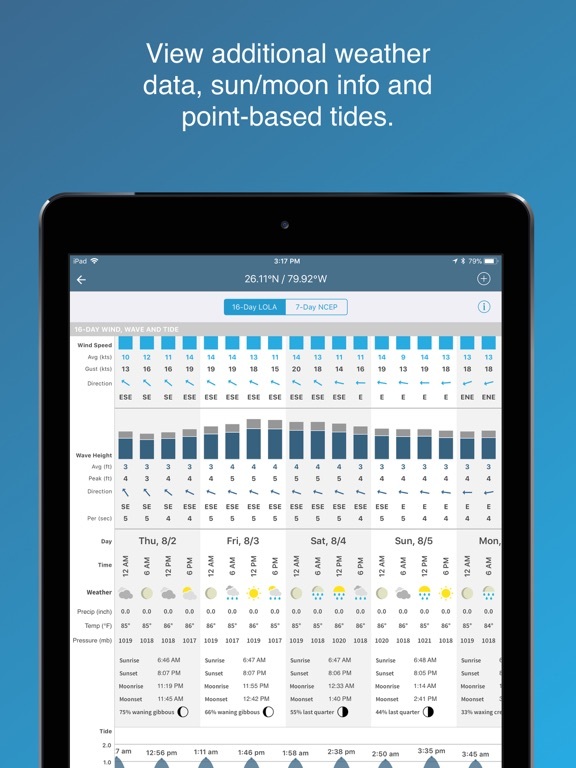 Payment for Buoyweather Premium entitles you to Buoyweather Premium usage and its features which are 7-Day weather forecasts containing wind, wave, and tide forecasts and the ability to save multiple favorite forecast locations. 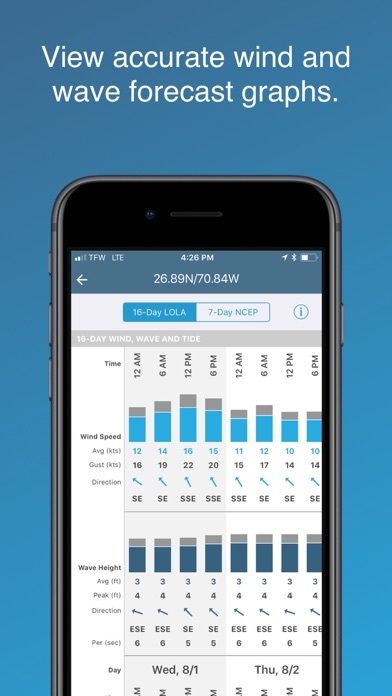 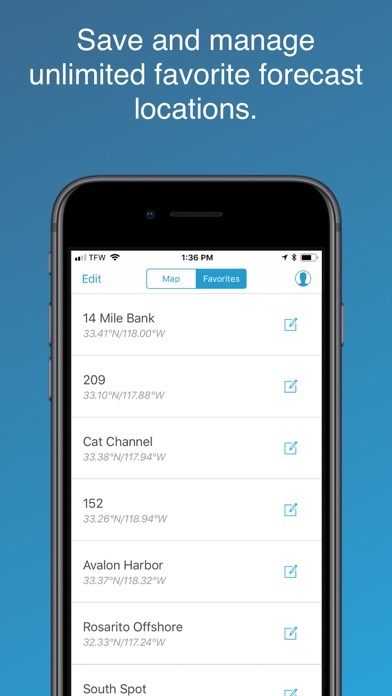 Buoyweather Premium is an auto-renewable subscription which will renew yearly at $79.99 ($6.67/mo) or monthly at $14.99/mo depending on the plan you’ve selected. 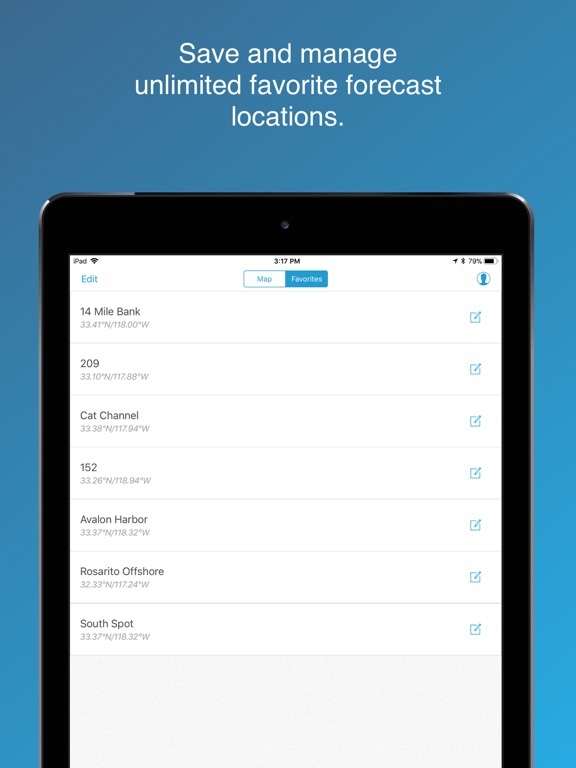 You can view your current plan within your iTunes account. 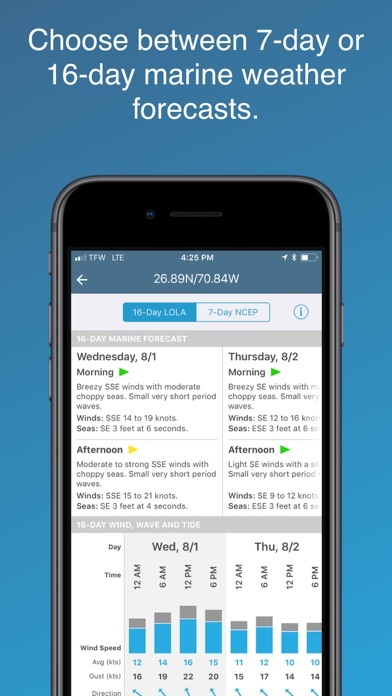 Existing Buoyweather Premium users who’ve purchased on a non-renewing subscription still have access to the great Premium benefits and features above.